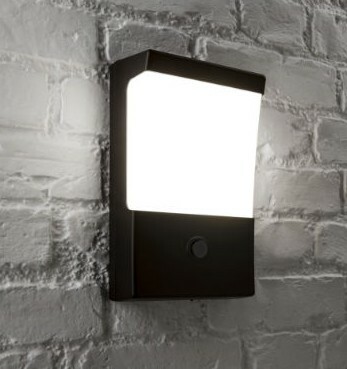 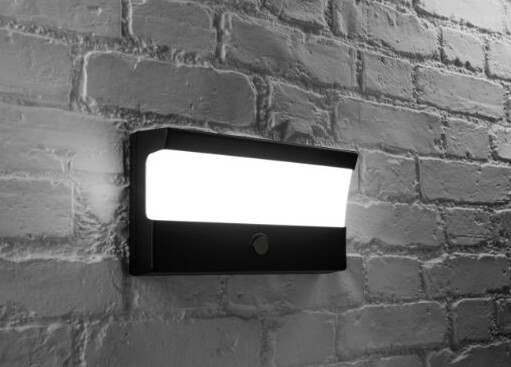 Designed in the UK, the MIGHTYLITE ELITE with built-in Photocell, is a stylish, economical LED wall light which features an energy saving built-in photocell, preset to automatically switch on during the hours of darkness, and switch off in daylight. 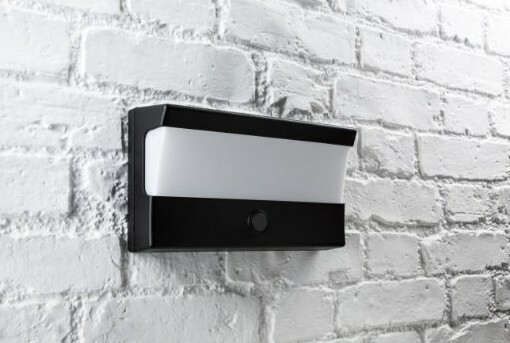 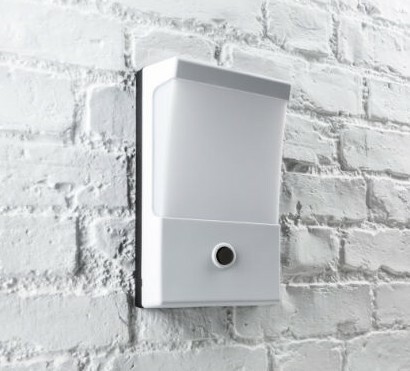 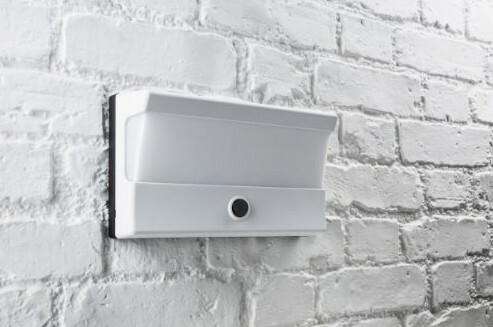 The unit can be wired to be operated via a switch, activated by an external PIR, or left on permanently – where it will save energy by automatically switching itself off during daylight hours. 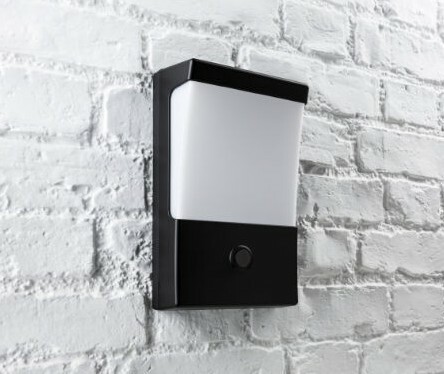 Available in both portrait and landscape formats, the MIGHTYLITE ELITE uses high-powered Epistar LEDs and a British designed dedicated driver unit to deliver up to 550 lumens of bright, energy saving light with industry-leading levels of reliability. 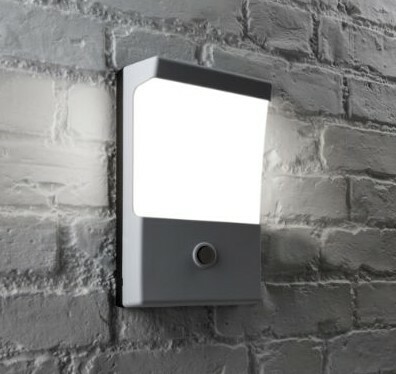 Attractive 550 lumen wall light, in portrait format, featuring a built-in photocell so it only operates at night time or in poorly lit areas. 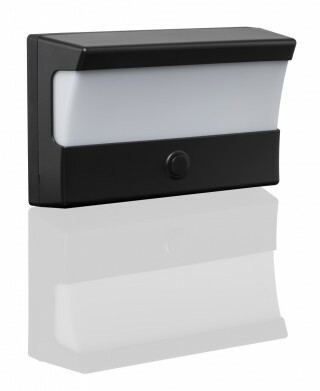 Finished with a matt black polycarbonate fascia on a black aluminium backplate. 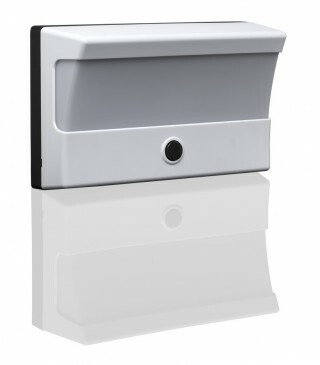 Finished with a gloss white polycarbonate fascia on a black aluminium backplate. 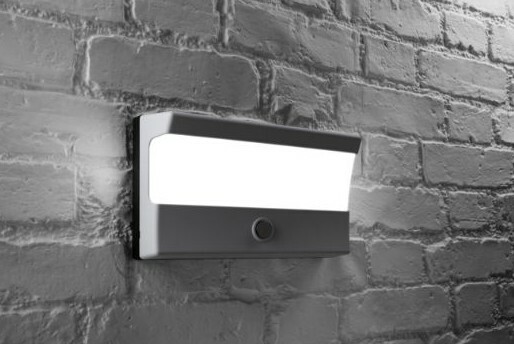 Attractive 430 lumen wall light, in portrait format, featuring a built-in photocell so it only operates at night time or in poorly lit areas.